It's who we are. It's what we do. It's how we do it. It's the combined qualities, characteristics and attributes, demonstrated by the Notre Dame educators and the charism of St. Julie Billiart that set us apart from other learning environments. 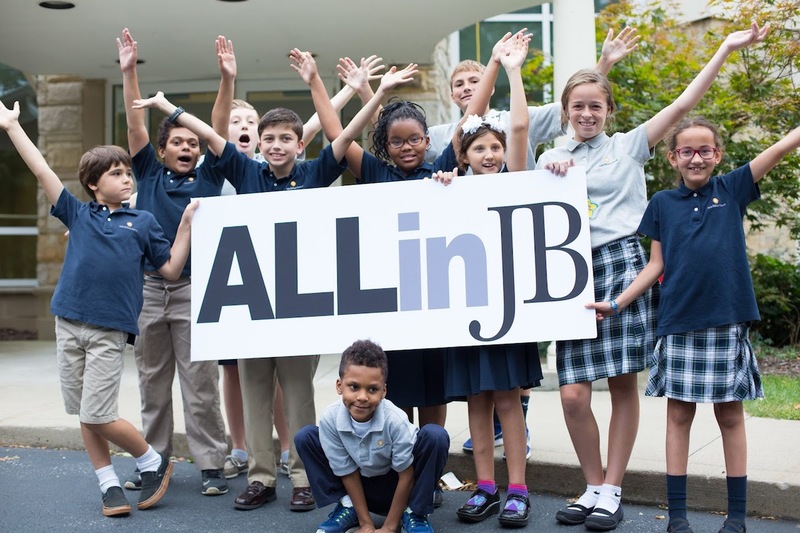 The "JB Way" is our core, our strength and our reminder of how ALL children have the potential to be happy, successful students. Our students are loved, accepted and given a sense of belonging. We respond to our students with kindness and love and a complete understanding of how they learn. We recognize that each of our students has unique gifts and talents. Our students are expected to work to their potential regardless of their abilities. We create relationships and collaborate with our students’ families to ensure continuity, offer support, and build community. We focus on the whole child, addressing his or her academic, social, spiritual and emotional needs. Our individualized learning programs are adapted to meet the unique needs of our students, allowing them to become successful learners. We foster self-esteem and confidence to reduce fear, build trust, and encourage our students to take academic risks and work beyond their comfort levels. We offer on-site therapies to promote creative and engaging solutions that are delivered in a collaborative and consistent manner. Our curriculum is centered around our students to encourage academic, social, emotional, spiritual, behavioral and physical growth and development. We have created an adaptable and flexible environment to meet the learning needs of our students. We cultivate a family-like atmosphere that is loving, comfortable and welcoming to each of our students. Our low student-teacher ratios allow for individualized instruction and learning opportunities. Our staff includes certified intervention specialists and therapists with valuable experience in special education. Our staff and faculty consider their roles at Julie Billiart Schools to be a "calling" more than a career. All faculty and staff have opportunities to grow and develop professionally in order to best serve our students. We make an investment in the educational interests and passions of our staff. Professional evaluations help maintain high faculty and staff performance. We recruit and retain Board members who are committed and dedicated to our mission of empowering and nurturing students with special learning needs.